Click on the thumbnails to see a larger image of the front and back covers. 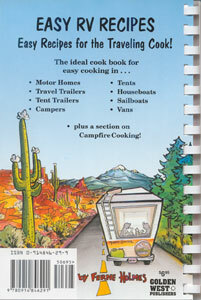 This book provides answers to one of the age-old problems associated with cooking on the road. Seasoned Road Warrior Ferne Holmes provides a bevy of suggestions for the those of you looking to cook nice, quick meals in the motor home, travel trailer, tent trailes, houseboat, or even on the campfire. 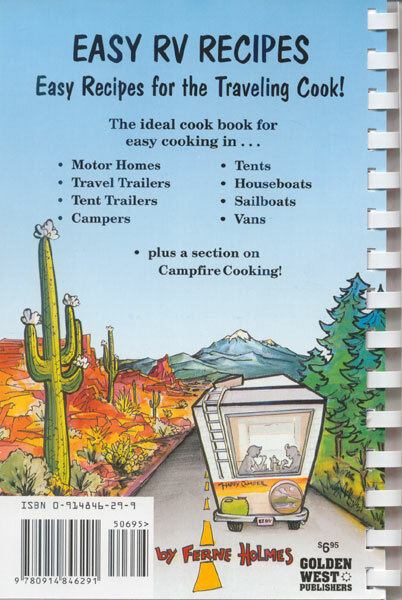 You don't have to be stuck with heating up plain old canned food any longer, and you still won't miss a sunset. 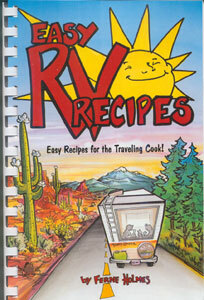 Put that portable stove or campfire to work, and enjoy the wonders to be found out there on the road! Paperback, Spiral Bound, 122 pages.